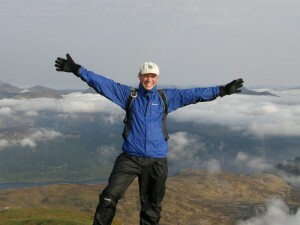 Walking Places is your place on the web to store and publish your walking journals, diaries and guides. Whether you keep a record of the walks you do with the dog or write a daily diary of your long distance walks, we want you to tell the world about it, through the medium of Walking Places. We can provide you with a complete hosting service, or simply sends us your journal and we will publish it on these pages for you. You don’t need to have any web design skills, we will do all the hard work for you and best of all its COMPLETELY FREE! There is no catch, no small print, no fees or expectation of reward, it’s a service we offer to walkers who wish to share their walks with their friends. We have dozens of established journals covering hundreds of walks, including Wainwright’s Coast to Coast, the Pennine Way, Dales Way, West Highland Way and many others. Due to external time pressures, Walking Places, has had to close its doors to new journals, at least for the time being. This was not an easy decision to make, and apologies to anyone hoping to share their experiences. Hopefully this situation will change in the not too distant future, so please keep an eye on this page. Hallo, I have come across your site and enjoy the journals. 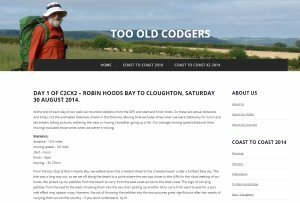 Particularly the Coast to Coast with Mary and Graham “Too old Codgers” as I am about to travel to the uk to do this walk myself and found their information very useful. I too live in Brisbane, Australia where they come from and I was wondering if you had any contact details for them as I would like to get in touch. Michael, as you can understand, I can’t provide contact details for authors on the website, but I have forwarded your message to Graham. …they are ‘Outdoor Leisure’ 33 and 34, Crown Copyright 1995. Be good to hear your advice. Thank you will give it a try! Hello, does anyone know of company that will deliver car from St Bees to RHB as mentioned on website? Tried Coast to Coast holidays, which goes to Sherpa company but they don’t do it. Any ideas gratefully received! I need some help! Found your site from a link on Rambling petes website. School teacher. Have a great Y7 activity in mind about cwm idwal and the glacial features. BUT need a 3D 1:25000 map of Cwm idwal preferably with Llyn ogwen and the Nant Ffrancon valley. (I have the images but 11 yr olds would find the 3D map easier to visualise. Can anyone help? This will probably open in a new window, so you then need to right click the image and save it locally to your machine. It’s quite big (about 8mb) but you can zoom in and out and it covers a much larger area than you specified. Hope that works for you, if not, just shout and I’ll see what I can do. 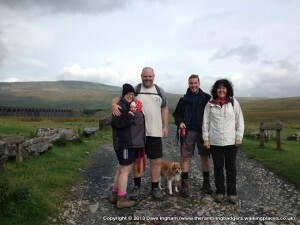 I’ve walked Wainwrights Coast to Coast twice. Last time (2013) I did it solo and got lost at least once everyday. I was carrying all of my gear, so I could not carry all the required O/S maps so I took photocopied (I needed the larger scale – eyesight issues) details of the maps of Henry Stedman’s Coast To Coast, Edition 5 (Trailblazer) made into two self-made booklets. I’m planning to walk the Coast to Coast solo again next year and I am considering investing in a GPS device (Garmin eTREX10 or similar) ideally this would let me read yhe route off it and let me know when im off the trail. I wondered if you (or anyone) know(s) of a compatible Coast to Coast route map for this type of device and if so where I might obtain it? A GPS device which displays maps may work for you – or if you have a smartphone (iPhone or similar) then something like ViewRanger may be useful. 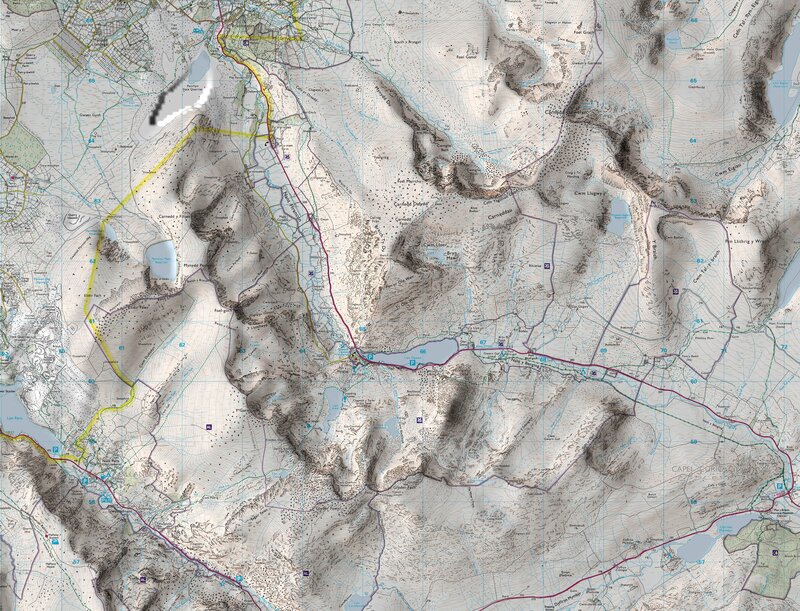 That provides OS maps and overlays your position (like the better GPS devices). Just ensure the maps are stored locally on the device. The nice thing about ViewRanger is the ability to zoom right in to see where you are, which will be useful if you have difficulty reading a small display. Yes, iPhones and other mobiles are great if you’ve got a signal, which is why I wondered if you had any information regarding GPS devices, but more importantly I am keen to find out about a specific GPS download for the Coast to Coast route and if there is such a thing where I might obtain it? Don’t be confused about the use of iPhone/Android devices on the hills. You don’t need a signal to use them for navigation if you have the maps loaded locally on the device, which is achieved using products like ViewRanger or Memory Map. You will need to ensure it’s adequately protected though and carry spare batteries – or a portable charger in the case of the iPhone. Just seen your site uograde Stuart and it looks fantastic. The Wainwrights Coast to Coast Section is the most complete and informative I have seen and I commnd it to others who may be interested in planning and executing bthe walk. Well done mate.